imageMEDIA provides high-quality, full-color printing, direct mail marketing and digital advertising services — Postcards, Posters, Brochures, Business Cards and more! imageMEDIA is located in Tarpon Springs, a thriving community on the west coast of Florida known for it’s rich history in sponge diving. This convenient central Florida location makes us the perfect choice for your local printing, direct mail and digital advertising needs. We offer local printing, direct mail and digital advertising solutions to help your business reach new customers. Whether you need business cards, brochures, door hangers, letterhead, postcards or banners we can help. With two local printing facilities in Central Florida, we provide the highest quality printing and fast turnaround. Long after someone sees or hears about your business, it’s important to make sure they remember you when it comes time to make a purchase or a need arises for your services. We make it easy for your business to do just that by delivering full color, direct mail postcards to their homes. At imageMEDIA we offer two powerful direct mail marketing options to help you get more new customers. Reach your ideal customer with a mailing list and targeted direct mail postcards, menus and brochures. 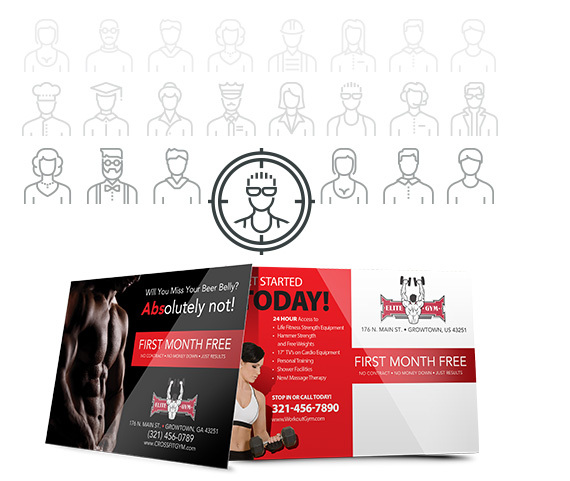 Turn your neighbors into customers with Every Door Direct Mail® postcards. imageMEDIA provides high quality printing, targeted direct mail, every door direct mail and local digital advertising in your area. In addition to printing and direct mail marketing, imageMEDIA can help you reach more local customers with digital advertising and online banner ads. Now your business can deliver affordable digital advertising to customers on premium websites like Fox News, ESPN, Facebook and more — on any device. Nurture interest with retargeting and deliver online banner ads to customers that have visited your website. Reach new customers in your area online with digital advertising by targeting interests and demographics using the same data as Fortune 500 companies. People walk out to their mailbox and spend countless hours online every day. We make sure you never miss an opportunity to reach new customers by delivering your direct mail marketing and local digital advertising to the right customer at just the right time. Contact us and learn more about why imageMedia is the perfect partner for all of your local printing, direct mail and digital advertising needs.